I am glad to finally be doing this review on LUSH. I have been eyeing their bath products for the longest time because they have good reviews, mostly on how their divine scents. I bought the Porridge soap, Sweetheart soap and Godmother soap. 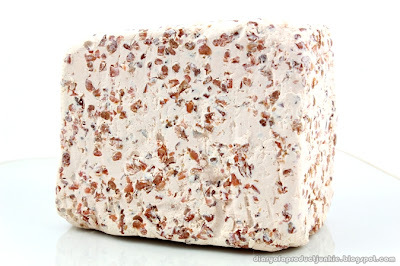 However, today, I'm going to review the Porridge soap. Start the day the Goldilocks way with a helping or three of porridge oats. Ideal for sensitive skin; irresistible to everyone else. 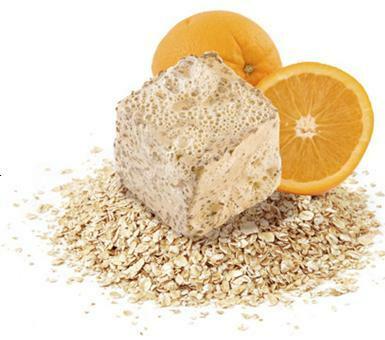 Oats are soothing for the skin and will gently exfoliate, while orange juice is refreshing and naturally toning. Rise and shine with some delicious porridge. Availability: I bought mine at LUSH Singapore, Wisma Atria. 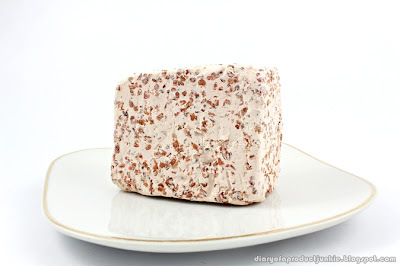 Kinda looks like a piece of oatmeal cake, doesn't it? My first impression on this soap when I was in the store is the refreshingly semi-sweet and citrus-y type scent. 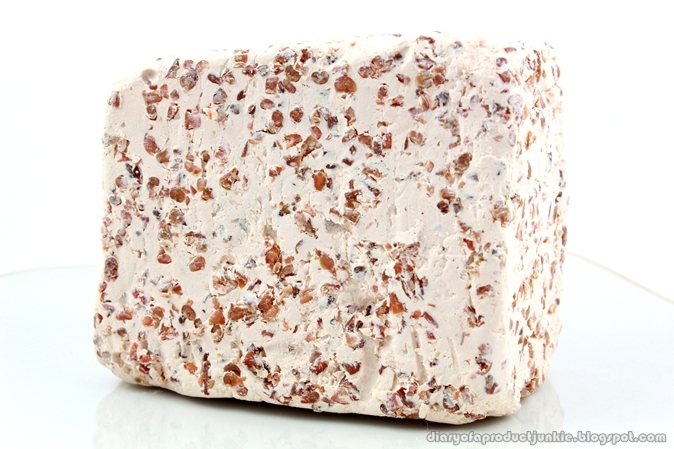 Before trying it, I would cut a chunk of it, enough to use on my whole body and then bringing it in the shower with me. I store my soap in a ziplock bag, placed in the fridge. I find this method preserves the soap a lot longer than putting them in the bathroom. When I tried it in the shower, I like the creamy texture in combination with the grainy, exfoliating oat grains. It doesn't feel harsh at all on my skin, despite it being a natural exfoliator. After showering, my skin feels smooth and soft, without any redness left behind.